Human is a creative agency with global credentials in design, digital, CGI and moving image since 2007. 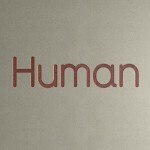 Human collaborates with organisations and brands such as MTV, Swatch, University of Sheffield, Arts Council and Channel 4, and their work has been exhibited in Europe, USA, Japan, Brazil and published in print and online around the world. Eleven Design is a Sheffield-based design and visual communication studio. Their work includes a creative focus on locality, place and identity. Their ‘Our Favourite Places’ project is a city guide with a creative heart which celebrates Sheffield. 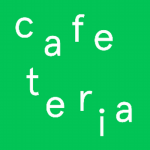 The Cafeteria is a creative design studio. Their work has included coordinating exhibitions and environmental spaces, producing diverse print material, and building a wide variety of digital media. 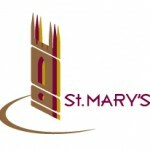 St Mary’s Community Centre works to improve the lives of local people, particularly those who experience particular disadvantage. They use an asset based approach which values the un- noticed strengths and resources in the community and try to find ways of enabling people to contribute, to belong and to build relationships. Ignite Imaginations provides high quality arts activities in areas where there is little opportunity to engage. They mission is “to ignite imaginations by increasing access to high quality creative activities.” Working in partnership with the community Ignite aims to increase confidence and skill, reduce isolation, promote usage of local spaces and increase pride and ownership over public space. St Matthew’s Art House is a new centre for arts, creativity and well-being. It will contain a café, a community pottery, high quality meeting space and art workshops: providing a place where everyone can be renewed by the therapeutic and social power of art. Every Sheffield Child Articulate and Literate (ESCAL) is the Sheffield City Wide Literacy Strategy. Led by the Inclusion and Learning Service, the strategy works in partnership with schools, early years settings, partner organisations and services. Sheffield First Partnership brings together organisations and individuals from across Sheffield to address some of the key issues and opportunities facing the City. The partnership is led by Sheffield Executive Board, where leaders from across the public, private, voluntary, community and faith sectors in the city meet on a regu- lar basis with a focus on ‘making the right things happen for Sheffield’. 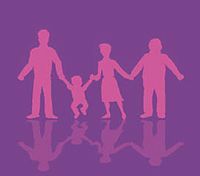 Sheffield Pathways and Access to Community Engagement Services (SPACES) is a service of the Sheffield Health and Social Care NHS Foundation Trust, and was formerly known as Adult Mental Health Day Services. SPACES offers support to people with mental health problems through facilitating a diverse range of recovery-focussed group work, social activi- ties, and drop-in facilities. 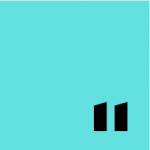 The Sheffield Arts and Wellbeing Network (SAWN) has 250 members comprising arts practitioners, clinicians, therapists, academics, service-users and patients. SAWN stages conferences and symposia, and works to promote and support the role of the arts in wellbeing. Recovery Enterprises is a social enterprise with a constitu- tional link to SHSC which works to improve the life chances of people with mental illness by supporting them to set up their own businesses, take up volunteering, and pursue activ- ities such as gardening and the creative arts. The Crick Centre studies and promotes the public understanding of politics (broadly defined) in a manner that cultivates debate and encourages engaged citizenship around the world. It therefore seeks to close the gap that has arguably emerged not just between politicians and the public but also between academe and society more broadly. The Centre for Assistive Technology and Connected Healthcare (CATCH) researches, develops, evaluates and implements new user-friendly technologies to enable people to live well and age well. CATCH brings together and coordinates the activities of over 40 academics, across 12 departments and five faculties at the University of Sheffield, including healthcare scientists, engineers, psychologists, computer scientists, architects, and social scientists.